Let me just get this out now... House Hunters the TV show makes house hunting look waaaaaaaaaay more fun than it really is in real life. If only I had a few extra hundred thousand dollars, I'm sure I could find my dream home no problem. Ha!! As it stands, I'm finding that I WILL have to compromise on something, be it square footage, or newness, or acreage, or distance/commute, or sun exposure, or... Our current favorite is a big-time fixer upper. I did a lot of home improvement projects with Dear Hubby at our prior house, so I'm not scared of it per se, but we didn't have a toddler at that point! So I'm not sure where I will eventually live, but I do know it will be in the mountains and I'll be making lots of soups this winter! This healthy soup is broth-based instead of using heavy creams and is packed with veggies: spinach, asparagus, and tomatoes. 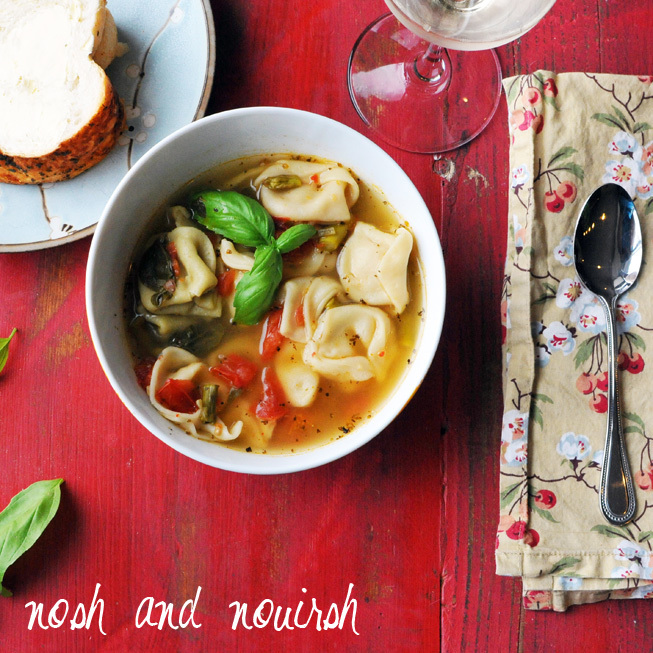 This soup was hearty, refreshing, suuuuuuuuuuper easy, and yet sophisticated. And I LOVE that the slow cooker does all the work! 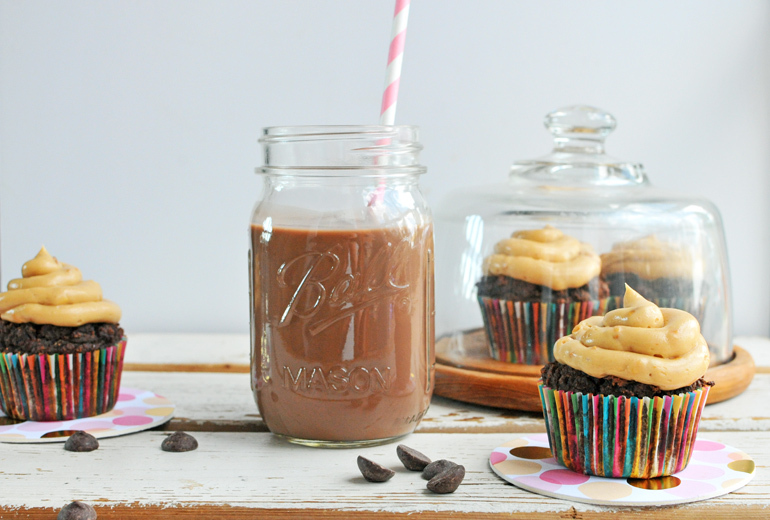 Try my Grain-Free Triple Chocolate Cupcakes! 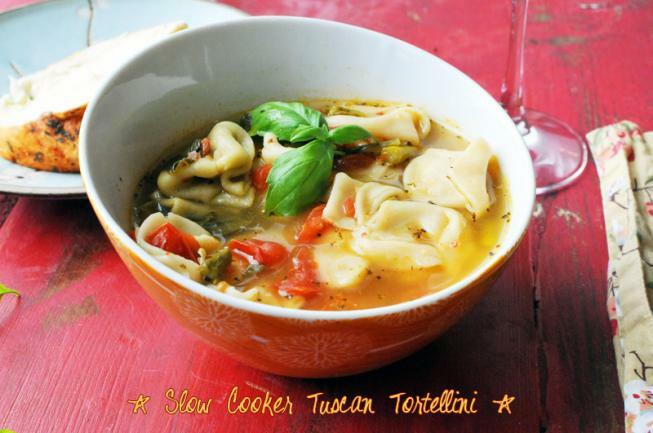 Add tortellini in the last hour, before serving.